Win a Vu+ datalogger with Data Harvest! Vu+ is a BETT award winning low cost data logger that offers the perfect solution for capturing data in and outside of the classroom. Designed specifically for primary students, Vu+ is the only solution you need for working scientifically and to learn about the world around you in record time. Vu+ has also been evaluated by The ASE and been awarded the “Green Tick" for meeting with the requirements of the primary curriculum. The Vu+ features three built-in sensors and has two ports for external sensors, a large easy to read display that shows data as numbers, pictograms, blocks and bars. It has Bluetooth connectivity, allowing you to connect multiple iPads, tablets, smart phones and PCs. You can capture and record data directly on the Vu+ and via the supplied EasySense software. Vu+ is supplied with everything you need in one simple pack and also includes access to our free CPD & Activities website learnstem.co.uk. 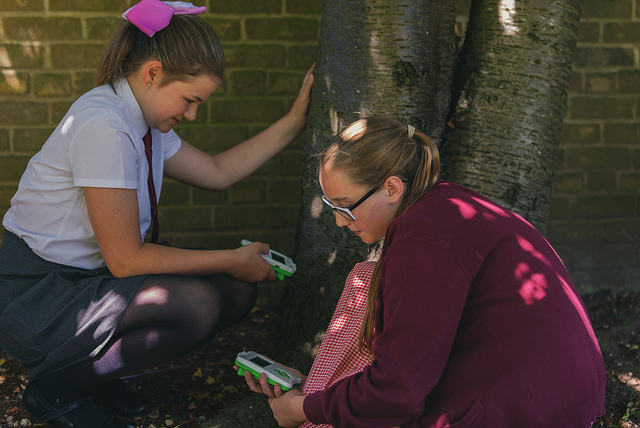 If you are looking to add data logging to your science lessons as outlined by the primary curriculum then Vu+ offers the perfect solution. Q1: What award did Vu+ win in 2018? Q2: What technology is used to connect Vu+ to multiple iPads? Q3: What are the internal sensors? Entry information may be passed on to Data Harvest. Please state in your email if you do not wish to be contacted by email unless a winner. Competition closes: Wednesday 31st October 2018. The winning entry will be notified via email During November 2018.